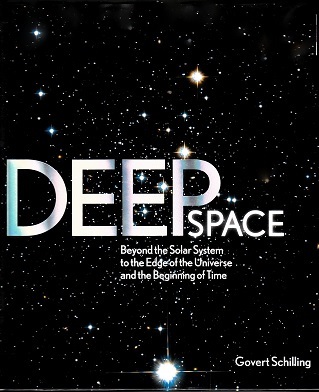 After a brief and condensed review of the solar system at the beginning of the book–including an explanation of the sun, planets and small bodies including asteroids and comets–Deep Space picks up where Solar System left off, at the outer edges of our inter-stellar neighborhood. Join author Govert Schilling on a journey that will ignite the imagination and propel you from the threshold of our galaxy through the Milky Way to the outer edges of the universe and beyond. Learn about the birth of new stars in our own galaxy (from molecular clouds to protoplanetary disks); other planets beyond our own solar system (lava worlds, water worlds and even Earth-like places); and other galaxies beyond the Milky Way (starburst galaxies, lenticular galaxies, elliptical galaxies). The book concludes with a discussion of cosmic evolution, the remaining mysteries concerning dark matter and dark energy, life in the universe and the speculative idea of a “multiverse” consisting of numerous parallel universes. 400 photographs (many never-before-seen) and custom-drawn illustrations illuminate the text, including a Star Atlas that shows the full celestial sky, all 88 constellations, all naked-eye stars and dozens of nebulae, star clusters and galaxies.